Anna Ivanovna Vel'jaševa-Volynceva, next on our list, was born in 1755. She thus belongs to an era subsequent to that of Mavra Šepeleva, so we'll flag her with an asterisk (*) as we take this opportunity to indulge in a little chronological change of pace. Anna Ivanovna's literary activity overlapped with that of her sister Pelegeja Ivanovna, who will be the subject of our next post. Golicyn furnishes two distinct entries for Anna (46-47) and for Pelegeja (47), without explicitly indicating that they were related, although the sisters’ unusual last name and matching patronymics suggest a familial connection that is borne out in other sources. As was the case with most of the women writers who managed to publish their work in eighteenth-century Russia, the Vel'jaševa-Volynceva sisters belonged to a literary family. Their father, notes Golicyn, was a "general major of the artillery and writer" by the name of Ivan Andreevič Vel'jašev-Volyncev (1737-1795). More specifically, he was a respected teacher of "military and mathematical sciences" at the Artillery and Engineering Cadet Corps in Petersburg, who counted future field marshal Michail Kutuzov among his students, as well as author of Russia’s first artillery textbook (SPb., 1767), and the translator of two works by Voltaire (1772, 1775) and Nollet's Lessons on Experimental Physics (SPb., 1779-81). His son Dmitrij Ivanovič (1774 or 1775-1818) was a military writer, too, who, after a brief, but brilliant military career – “at 25 he was already a colonel leading ponton companies” (M.M. 869) – went on to compile a five-volume Dictionary of Mathematical and Military Sciences (SPb., 1802). Dmitrij's deeper interests seemed to be poetry and drama, however: he translated a number of plays and other works from French and German into Russian throughout his life, in addition to authoring his own verses and verse fables; from 1811, he was an active member of the Society of Amateurs of Russian Literature (Общество любителей российской словесности) at Moscow University, whose boarding school he had attended as a boy. Dmitrij began publishing at a tender age: if his first poem was printed in 1789, when he was about 18, his first theatrical translation appeared in 1782 – when he was roughly 11. But it was Anna, and not Dmitrij, who was the family's literary trailblazer. Both Anna and Pelegaja began publishing translations at age 9. 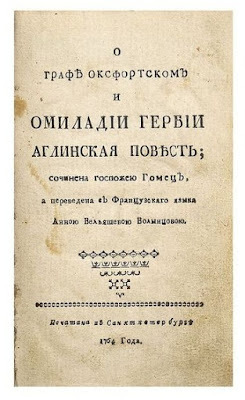 Anna's first published translation even predates her father’s textbook and in 1772, when Dmitrij would have been roughly a year old, she had already earned an entry in N. I. Novikov’s Attempt at a Historical Dictionary of Russian Writers (Опыт исторического словаря о российских писателях, SPb., 1772). Describing Anna as unmarried and author of "a fair number of poems meriting praise", Novikov wrote that she was also to be commended for her translations "by virtue of her young age and assiduousness (исправность)" (29). What exactly did Anna write? Golicyn also credits her with the composition of some verses, together with three book-length prose translations. We know very little about her poetry, however, which, like much of women’s writing in the eighteenth century, seems to have been published anonymously or under initials or pseudonyms. M. N. Makarov, who compiled a list of Russian women writers in 1830, averred that her work was "published in many contemporary journals" (34), although specific titles are nowhere to be had. Anna’s verses – or perhaps her literary activity in general – are also reputed to have drawn the attention of Catherine II, which led to her being presented at court (M.M. 869) – a circumstance that may well have contributed to Anna's enjoying slightly greater renown in literary history than her sister Pelegeja. Anna's first translation was taken from the work of Madame de Gomez (1684-1770), a popular writer of exotic adventure stories and moralizing tales who became quite fashionable in Russia in the 1760s. As a nine-year-old, Anna was undoubtedly subject to some familial guidance in the selection of her text, which was published in 1764 as О графе Оксфортском и о миладии Гербии: Англинская повесть; Сочинена г-жею Гомец (On the Oxford Count and Milady Herby, an English Tale, written by Mrs. Gomez) (cfr. 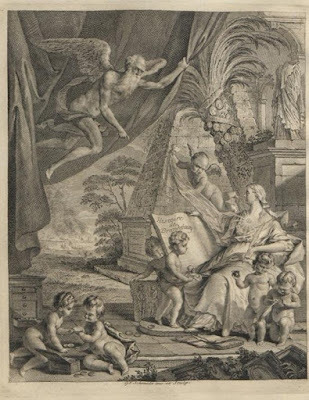 Rosslyn 39); the source text was Histoires du comte d'Oxford, de milady d'Herby, d'Eustache de St-Pierre, et de Béatrix de Guinès (Paris, 1737). The support and involvement of Anna's family is evident in the fact that her book was published by the press of the Land Forces Cadet Corps ("тип. Сухопут. кадет. 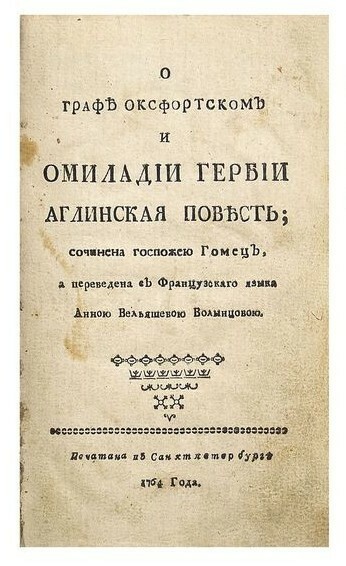 корпуса"), which was associated with the institution where her father taught, and even specifically at his behest ("по заказу майора Вельяшевa-Волынцева") in a sizable print run of 1200 copies (Svodnyj katalog 1:246). In addition to putting Mrs. Gomez's name on the cover – a striking choice in this era of anonymity and one that suggests the marketing potential of the Gomez "brand" – Anna's editors revealed her own identity as well, thus making her only the second woman in Russian literary history to attach her name to a published translation. The first had been the princess Daškova, who just one year earlier had issued a translation of two pieces by Voltaire (Rosslyn 1). It perhaps bears note that Daškova's exalted social status often safeguarded her from the repercussions of her (often unusual) behavior, while Anna had no such protection from acts that might be judged as overstepping appropriate gender roles. 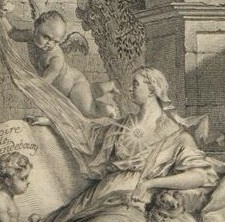 Anna began her second translation, based on Gueulette's Les Mille et Une Heures, contes peruviens (1733, 1759), at age ten. This became the two-volume Тысяча и один час, сказки перуанския (A Thousand and One Hours: Peruvian Fairy Tales), printed in Moscow (1766, 1767) and capitalizing on the rage for oriental exoticism created by Galland's Les Mille et Une Nuits, contes arabes (1703) (Rosslyn 40-41). A third volume of translation added to these in 1778 appears to have been the work of another translator designed to profit from the foundation laid by Anna (Rosslyn 146, Svodnyj katalog 1:210). Her third translation, which appeared in Moscow in 1770, brought Russian readers a text that Frederick the Great had written (in French) as История Бранденбургская, с тремя разсуждениями о нравах, обычаях и успехах человеческого разума, о суеверии, законе, о причинах установления или уничтожения законов, короля Прусского Фридриха II (The Brandenburg History with Three Reflections on the Morals, Customs and Successes of Human Reason, on Superstition, Law, and the Motives for the Imposition or Abolition of Laws by the King of Prussia, Frederick II). This translation attracted Catherine's attention as well. According to an anecdote she took this opportunity to crow to Diderot, "Now in Russia we've translated Frederick! And who do you think did it? A young, pretty girl!" 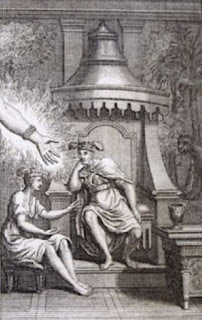 "Your Highness," Diderot conceded, "in your Russia and under your rule one finds all the wonders of the world, while in Paris very few men even read Frederick" (Makarov 34-35). Anna Vel'jaševa-Volynceva seems to have stopped translating after Frederick, "perhaps," as Wendy Rosslyn suggests, "because by 1770 she had reached marriageable age"; of her husband, we know only that his surname was Olsuf'ev (42, 175). What might students do with Anna Ivanovna Vel'jaševa-Volynceva? It is unlikely that we can track down her poems, but one could certainly investigate their context a bit further. What journals might have printed them in, say, the 1760s or 1770s? What were the leading journals of that era and what kinds of signatures are attached (or missing) from the verses printed in them? And what about her translations? Where can they be found today and how might they offer material on the principles of the translator's art as she understood it? M. M. [M. N. Mazaev]. "Anna Ivanovna Vel'jaševa-Volynceva", in Encyclopedičeskij slovar' Brokgauza i Efrona, vol. 5A (SPb. : Semёnovskaja Tipografija, 1892), 869. Makarov, M. N. "Anna Ivanovna Vel’jaševa-Volynceva", in "Materialy dlja istorii ruskich ženščin-avtorov." In Damskij žurnal (1830), no. 3, ch. 29, 34-35. Novikov, N. I. Opyt istoričeskogo slovarja o Rossijskich pisateljach. SPb.:1772. Rosslyn, Wendy. Feats of Agreeable Usefulness: Translations by Russian Women 1763-1825. FrauenLiteraturGeschichte 13. Fichtenwalde: Verlag F. K. Goepfert, 2000. Encyclopedičeskij slovar' Brokgauza i Efrona, vol. 5A (SPb. : Semёnovskaja Tipografija, 1892), 869. Enciklopedičeskij leksikon, vol. 9 (SPb: Tipografija V. Pljušaraj, 1837). 337-38. Ravdin, B. N. and A. B. Roginskij, "Dmitrij Ivanovič Vel'jašev-Volyncev." In Slovar' russkich pisatelej XVIII veka, vyp. 1 (L., 1988). Slovar’ členov Obščestva ljubitelej Rossijskoj Slovesnosti pri Moskovskom Universitete (М.: Pečatnja A. Snegirevoj, 1911), 52-53. Svodnyj katalog russkoj knigi graždanskoj pečati XVIII veka, 1725-1800 (M.: Izd. Gos. Biblioteki SSSR im. Lenina, 1962-1964), vol. 1, 210, 246; vol. 2, 177. Zaborov, P. R. "Ivan Andreevič Vel'jašev-Volyncev." In Slovar' russkich pisatelej XVIII veka, vyp. 1 (L., 1988). For more information on Ivan and Dmitrij Vel'jašev-Volyncev, see "Further Reading" above. Novikov's Dictionary, one of the first reference works of its kind in Russia, contains nine women writers: E. V. Cheraskova, M. V. Chrapovitskaja, E. R. Daškova, M. V. Zubova, E. A. Knjažnina, A. F. Rževskaja, N. I. Titova, E. S. Urusova, and A. I. Vel'jaševa-Volynceva. 1, 2, 4. 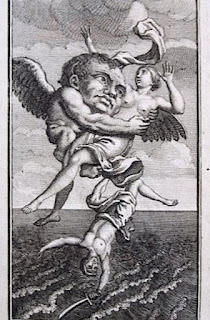 Title page and illustrations by Gunt from Gueullette's Les mille et une heures (Paris, 1734) from a book dealer's site. 3. 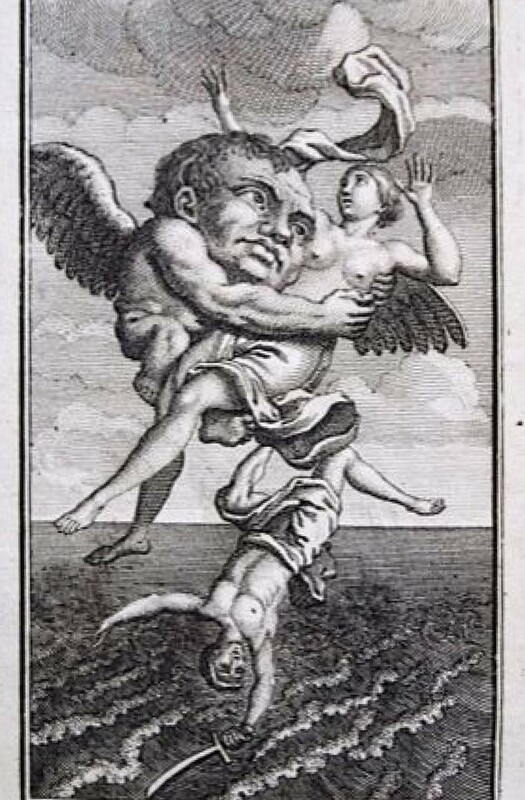 Title page from Anna's first translation from an auction house's website. 5, 6. Engraving by G. F. Schmidt from Frederick's Memoires pour servir a l'histoire de la maison de Brandebourg (1751).